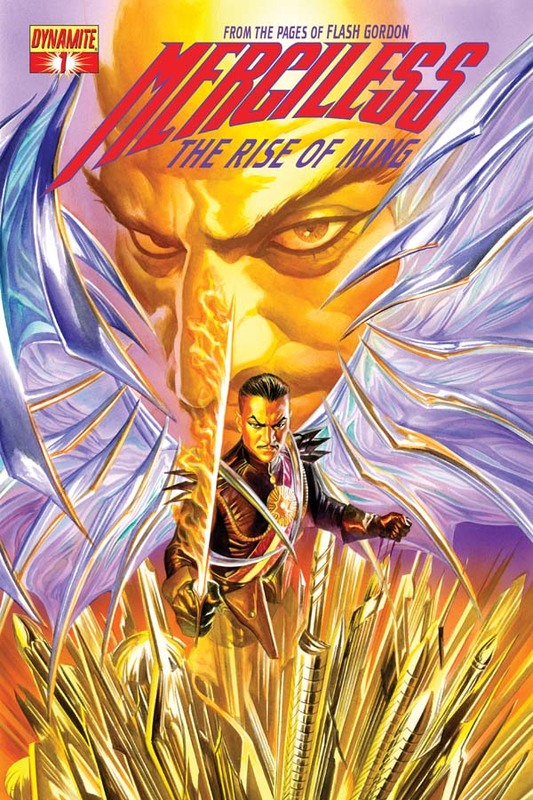 The Fellowship was fortunate enough to obtain a copy of MERCILESS: THE RISE OF MING #1 from Dynamite Entertainment. The story is by Scott Beatty with art by Ron Adrian. The delegates of the different kingdoms of Mongo have met at the palace of Emperor Krang to discuss a peace treaty. However, the absence of a delegate from Hawkmen is noted. Prince Ming is sent to meet with Queen Qroze about joining the peace talks. The Queen embarrasses him to the point that he wants the humiliation answered with her blood. Are these the first steps for the prince to become the Ming we all know? I’ll be honest, the pre-Flash Gordon Ming was not something I had been curious about. With that said this was a very good read and the character intrigues me. It’s obvious by the conversations Ming has with his father that Emperor Krang knows there is more to his son than he shows. It will be interesting to see what events that lead Ming to become Emperor. Ron Adrian's art is very good, and once again I must point out the great use of colors, this time by Roni Setiawan. MERCILESS: THE RISE OF MING #1 is in comic book stores now or available at www.dynamite.net.